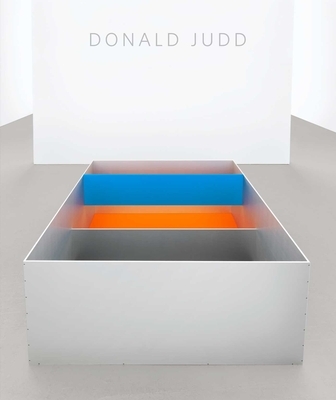 This publication documents an exhibition of Donald Judd's work held at David Zwirner in New York in 2011, which presented works drawn from the artist's seminal 1989 exhibition held at the Staatliche Kunsthalle Baden-Baden, Germany. Consisting of 12 identically scaled anodized aluminum works, the historic exhibition at the Kunsthalle Baden-Baden was significant in that it marked the first time Judd used colored anodized aluminum in such a large, floor-mounted format. The combinations of materials, dividers and colors--which differ from box to box--thus determine the singular nature of each work within a finite number of variable possibilities. As such, these works comprise one of Judd's few explorations of color on a large scale. With new scholarship by noted art historian Richard Shiff, in addition to archival material and an interview with the artist by Jochen Poetter, this hardcover provides a focused investigation of one of the key concerns within Judd's practice.